The lowest price of Redmi Note 5 Pro (Gold 64 GB) ( 6 GB RAM ) is at Amazon where is it is for INR 12499. This price is INR 2491 lower than the other price for the product. The prices for the product change across variants. The price for Redmi Note 5 Pro (Gold 64 GB) ( 6 GB RAM ) is valid across Bangalore, Hyderabad, Chennai, Mumbai, Delhi, Pune and Kolkata. 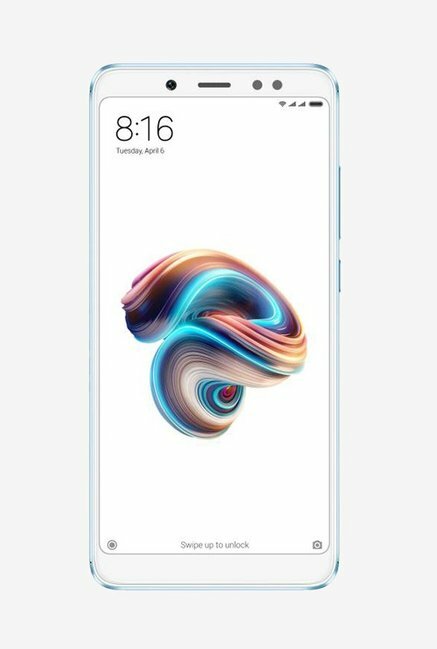 The Redmi Note 5 Pro (Gold 64 GB) ( 6 GB RAM ) is available at best price of INR 12499 on Amazon. Best flagship phone under 20k Box includes: Phone, Data cable, Soft transparent back cover, wall power adapter and user manual. Pros: + Super smart phone + Excellent build quality + Gorgeous display + Very good rear camera with DSLR grade bokeh, it is one of the best under 25K. + Sleek, sturdy and very premium + One of the best selfie in the market under 25K. + No heat, no lagging. + Dual band WiFi + Smooth performance from SD-636 coupled with 6GB RAM. + Great connectivity package - 4G, Dual SIM, FM Radio, WiFi + Above average sunlight legibility. Cons: - No Oreo out of the box. - No NFC - Protruding camera lens - Average speaker loudness. I don't see any mobile as good as this under 25K except last year's Huawei flagships Huawei P9 and Honor 8, with heavily discounted price on some sites these have become equally value for money options and Samsung Galaxy S7. Huawei phones have better cameras, same performance and NFC and better low light photography but with smaller display size and and no FM. S7 has better display which vivid and more punchy, double resolution, superior camera, 4K video recording, better low light photography and Samsung Pay. Easily recommended under 20K. phone Pros: Gorgeous Display Great Camera Quality under daylight conditions Excellent Battery Backup No lag while multi-tasking and gaming Fast and Accurate Face unlock Cons: No fast charging Hybrid Sim Slot Ratings: Design: 8/10 Display: 9/10 Sound: 8.5/10 Battery: 10/10 Back Camera: 9/10 Front Camera: 9/10 Processor: 10/10 Call Quality: 9/10 Face Unlock and Fingerprint: 9/10 Sound from Speakers: 10/10 Sound from Earphones: 8/10 Pricing: 10/10 Overall Rating: 9/10 Deailed Review: So here's what you get inside the box: 1. Handset 2. Charger (5V, 2amps)[ A fast charger would have been better ] 3. USB charging cable 4. Sim ejector pin 5. A translucent soft case[ Thanks to Xiaomi for providing a free case ] Design: The design of the phone is not great but not bad as well. It looks very decent. I like the 2.5D glass on the front which gives it a premium look. The phone is slightly taller than Redmi Note 4 but the width is a bit smaller. It is easier to hold because of the smaller width but because of extra height and bigger display, reaching the top of the display is difficult with one hand. Most of the time you will be using both hands with this phone. Overall the design is good and I would give it 8/10. Display: The display is large 5.99 inch with 18:9 aspect ratio and Full HD+ resolution. The display is beautiful and sharp. The viewing angles are good and it is sufficiently bright for read properly under sunlight. I didn't like the inbuilt wallpapers so used OnePlus 5T and LG G6 wallpapers which look great. Display Rating: 9/10 Sound: The sound output from speakers is excellent. The speakers are loud and clear. Xiaomi has made great improvement here compared to previous Redmi Note 3 and Note 4. The sound output from 3.5mm headphone jack is good. Tip: Use sound enhancer in settings to improve sound quality. The call quality and clarity was great as well both on speaker and earphones. Battery: The battery lasted for 1.5 days with medium to heavy usage. SOT( Screen On Time) was more than 8 hours which is excellent. Camera: The dual back camera is very impressive and can compete with OnePlus 5T. Pictures are sharp and have plenty of details. Portrait mode works really well and pictures look great. The front camera is a 20MP sensor and it takes some great pictures. The beautify effect works well. The front camera also has a portait mode and gives a nice blur effect. Front flash was useful in low light conditions and improved selfie quality. Processor: The Snapdragon 636 chipset is a beast. You won't face any lag at all even while using multiple apps and games. Face Unlock: I updated the phone just after starting it and face unlock update was there. It registered face data very quickly which was a surprise. Till now it is working great. I tried it with 2-3 other people and they were not able to open the phone. It is quick(unlocks in less than a second.) One thing I liked about it was that it worked great even when my phone was around my waist height and it detects your face. You don't have to bring it to face level which is annoying. Overall, Redmi Note 5 Pro is an excellent value for money device with good looks, great camera, long battery life, powerful chipset. I don't think we will see a better smartphone under 20000 this year. Go for it if your budget is 20000.